Put your hand up if you believe that as you advance and improve your photography, that your ratio of images that are keepers to those you throw in the trash will improve? The answer is – false! I'm here to disprove that myth or believe and get you to think about photography as a journey, not a destination. By expecting to one day achieve perfection you are setting yourself up for disappointment. 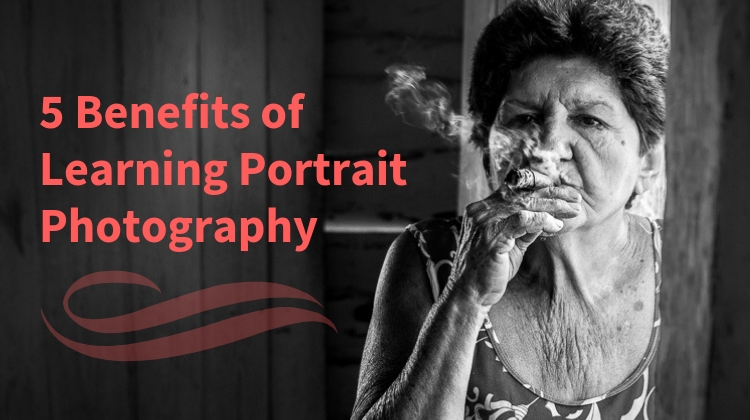 Let's look at why, and what you can do to have more satisfaction with your own images. 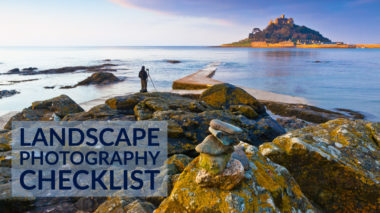 You may even have a little fun and get some great photography ideas in the process. In order to make my point, I'll use a travel analogy. If you want to get to a new place you have to travel there somehow – either driving, flying, or some other mode of transportation. You can't skip that step and just instantly be there (Yet! I can't wait for teleportation to be a thing so I can skip airports! ), and sometimes the journey to get there is just as much fun. Think road trip! Photography is the same, except in this case the desired destination is a achieving a good (or great) image. Your goal is to make images that satisfy you, which you're also happy to share with others. The misconception is that once you get to a top skill and experience level in photography you'll have “made it”, and every single image you take will be amazing keepers. That is NOT true! Let me show you some examples of what I mean. I've been doing photography professionally for almost 30 years. This is how I shoot. Please take note that I mark less than 10% of the total number of images that I shoot as “5 Stars” or my best of the bunch collection. 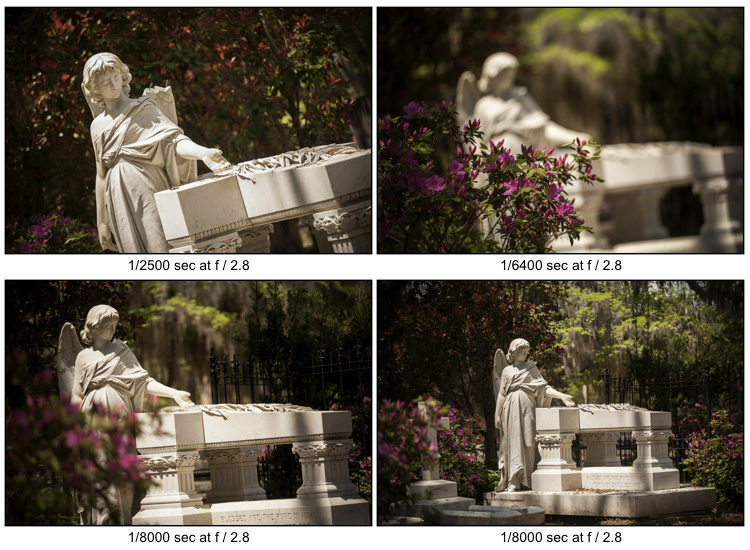 In the example above I saw a scene that I found interesting in a cemetery in Savannah, GE. I took four different images. None is better than the others really, they are just different. But if I had not decided to take a few the latter images would not exist. You get to decide which one you like the best (of the set above and your own images) but if you stop after the first one you can't continue exploring. A phrase I use a lot in my classes, tours and in my free eBook if you have downloaded it is, “Walk around the subject”. What I mean by that is exactly that – physically walk around the scene. When something catches your eye, give it the attention it deserves and explore the scene fully. Change things up, actually move around. Move your feet! Explore all sides and angles of the scene. How does the light change if you go to the right? Or to the left? What if you get down low for a different perspective? Only by fully exploring your scene can you find the gold hidden in it. Ask yourself what attracted you to this subject in the first place? Was it the lighting? Maybe an interesting background? Or was it a person or object? 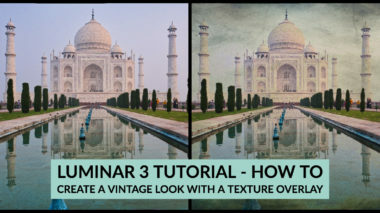 Now consider how you can capture that subject with the vision of what caught your eye. Here is an example from one of my workshop locations. 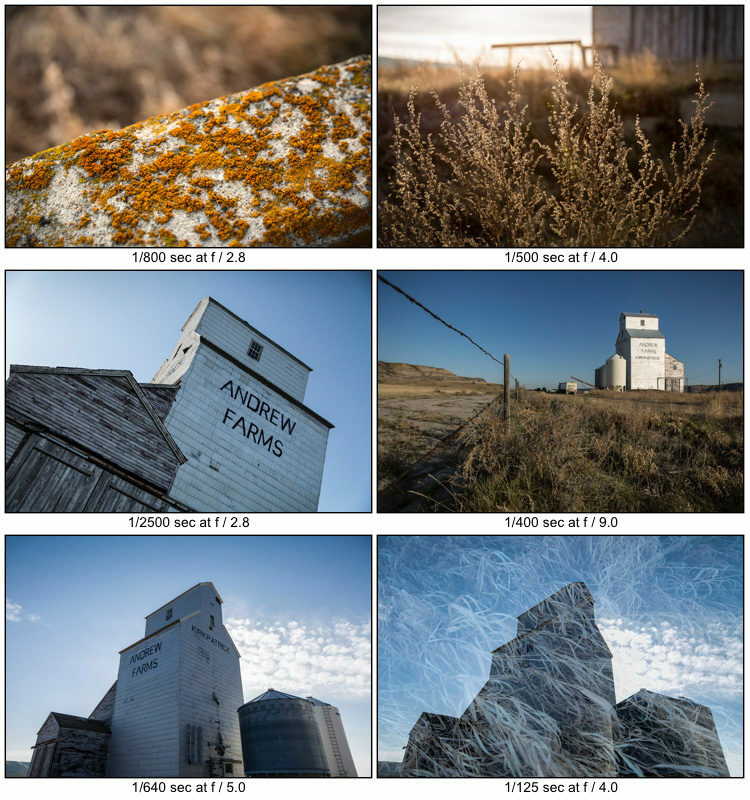 The grain elevator in the images above is one of my workshop locations in Alberta. I give an exercise to the attendees to walk around it and take at least six images which are totally different. So I did the same to show them my thought process and how I explored this location. I shot some vertical and some horizontal images. I did some close-up details and some wide shots from farther away. 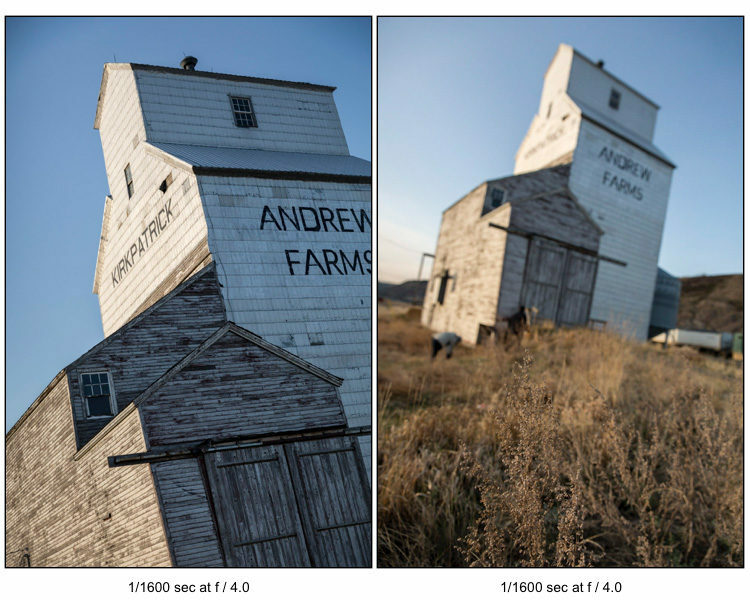 Some shots are focused on the elevator, and some are sharp in the foreground. On the last one, I even experimented with an in-camera double exposure. Some angles are looking down (the lichens on the concrete) and some are looking up. I've also physically changed my position and gone all the way around the elevator. How can you tell? Hint, look where the shadows fall – in one the elevator is back-lit, another the sun is on the front (wide shot), in others the light is coming from the side. What else could I vary in shooting? How about macro photography, getting even closer? Maybe I could have shot some in black and white. The point is can you see my process here? 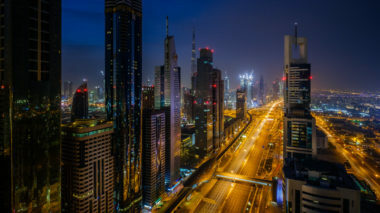 How many images do you think I shot at this location in total? It was about 40! This was my favorite one actually. 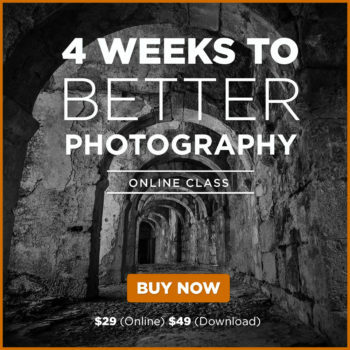 My co-instructor on this workshop, Bruce Clarke, actually showed me how to do this with my Canon. I had never tried it and had a lot of fun playing around with the in-camera double-exposure settings. Here's a double-exposure I did of Bruce helping a workshop participant. 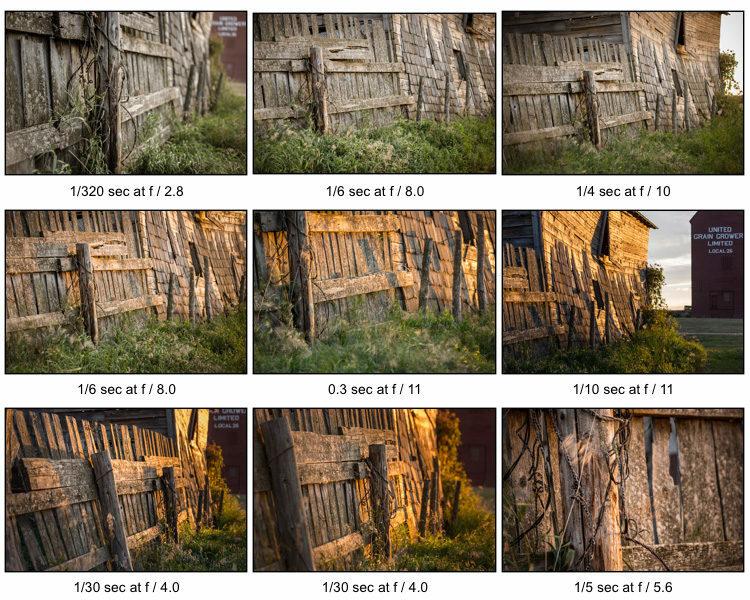 What if you get to a location and the light isn't optimal for photos? If you can wait, that's the best option as I did in the next example. The sun was setting and overall the light was pretty even. 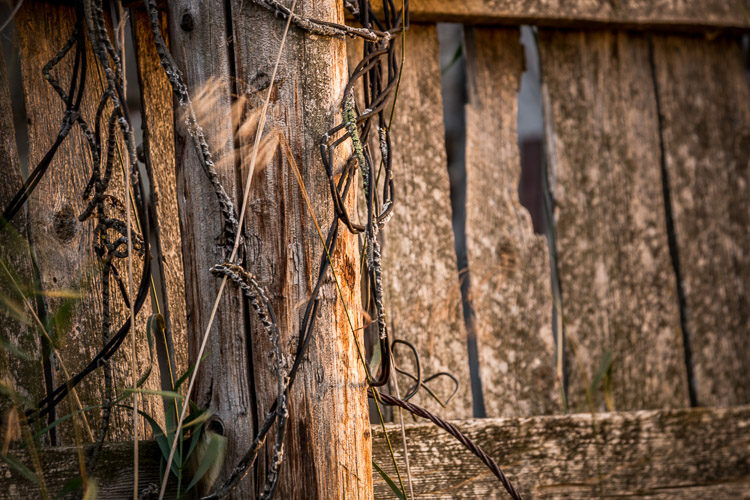 I found this old fence and wanted the capture the texture. Then the sun came out in full force and changed everything. My vertical images – notice in the bottom two how the sun has come out and it is casting some warm golden light on the fence. In these images, I tried different apertures to change the depth of field, and then was playing with slow shutter speeds to capture the grass blowing in the breeze. Again you see the golden light on the images taken when the sun came out. Can you see what a difference the change of light made to the scene above? The different shutter speeds resulted in the grass being too blurry in some images so I had to experiment to find the right setting for the look I wanted. This is the process I'm talking about! You cannot just take one image, walk away, and expect it to be THE best image you could possibly make in that situation. Playing and experimenting and trying different things is not just about learning – it's necessary to evolve into the image you want to make. This was my favorite image from the set. The grass is blowing and is blurry due to the 1/5th shutter speed. There is just a touch of the golden sun light on the fence to warm up the image. To me – this says “country”! 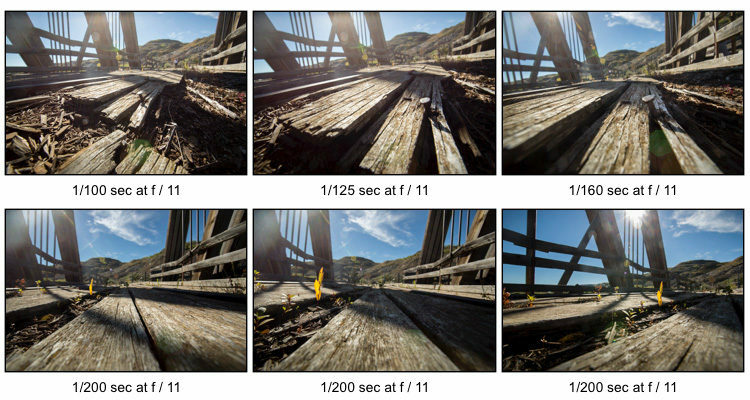 In the following series, you can see my progression of shooting the rotten boards of an old train trestle bridge. Once again I explored the scene, looking for something of interest to be my subject. Look through the set of images below and you'll notice that the first image is not at all like the last one. Had I stopped after one shot I'd have missed out and only by getting down to the ground to look closer was I able to make the last image. The rotten nature of the boards and the texture caught my eye. Then I played around with different compositions to try and get a main subject in the image – something that would hold the viewer's attention. First I tried the nail sticking up – but it was in a bit of shade and still wasn't doing it for me. Then I spotted the little yellow leaf sticking out of the bridge deck and knew it would be the perfect subject. It stands out for several reasons. The leaf is easily noticed because of its yellow color (warm colors project or come forward), the sun is also highlighting it nicely with some backlighting. 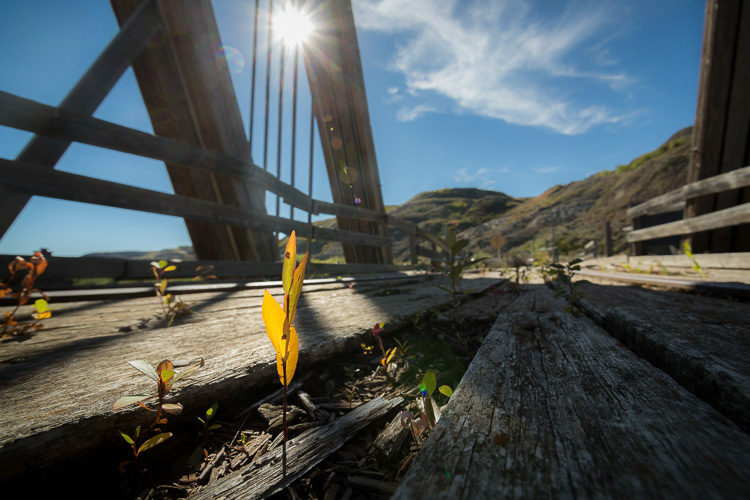 The fact that a living thing is growing out of the old, mostly rotten boards of the bridge grab attention and add juxtaposition and interest to the image. Finally, as a bonus, I added s sun flare as well – read: How to Create Sun Flares for Effect In-Camera for how to do that. This is the final image from that series. But – had I not already been crawling around the bridge deck on my hands and knees – I would likely not have noticed this little leaf. 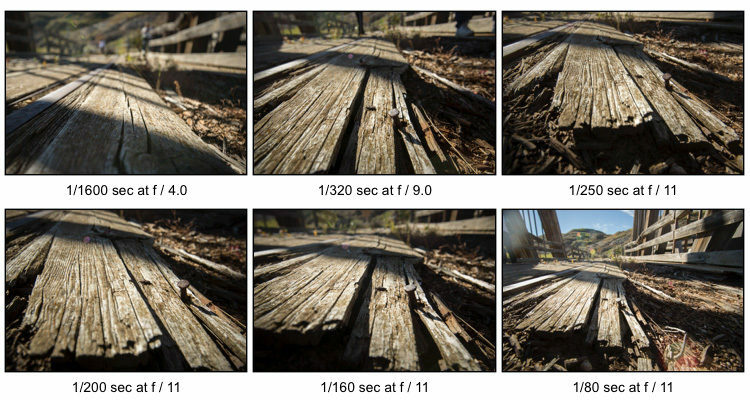 So remember to go get down – literally – and look for subjects close to the ground. We see the world at eye level and that's our “norm”. By shooting from another camera position you will create images that are different and people will take notice. From the cemetery again in Georgia, the even rows of headstones got my attention. As I explored and walked around the scene I found something to focus in on. Can you see the differences in the images below? What has changed? 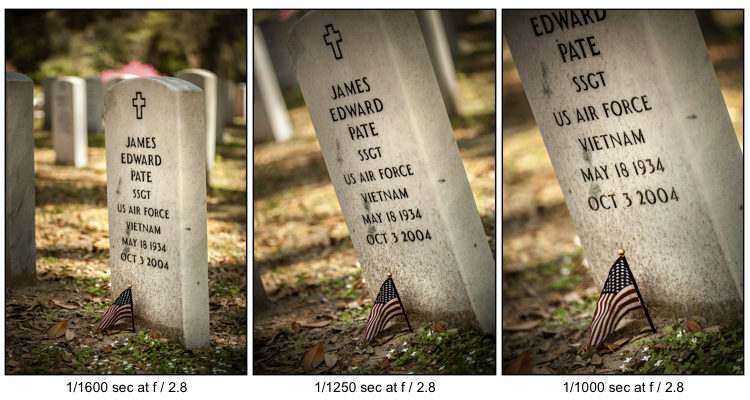 Here I have varied the focal length used, and where I put the focus point (the front headstone versus the next row back). The tiny little flag and white flowers drew me into this site. One of my favorite images from the series. 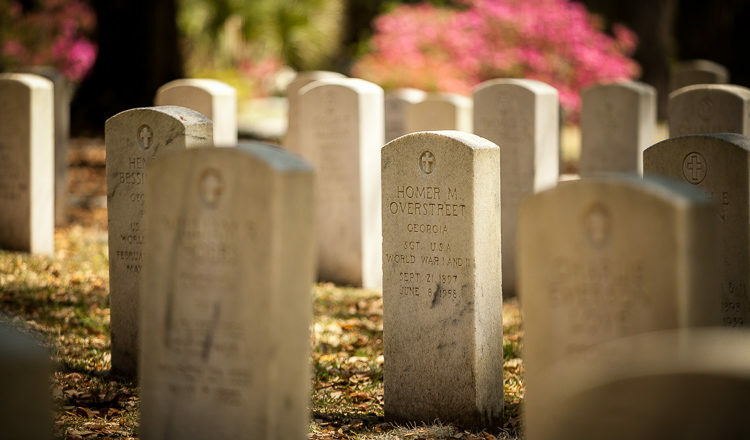 Shot with a long lens (about 150mm) a large aperture (f/2.8) and focused in on the second row of headstones. So how many shots is the right amount? Can you take too many? There is no right or perfect answer to the first question, but yes you can take too many. 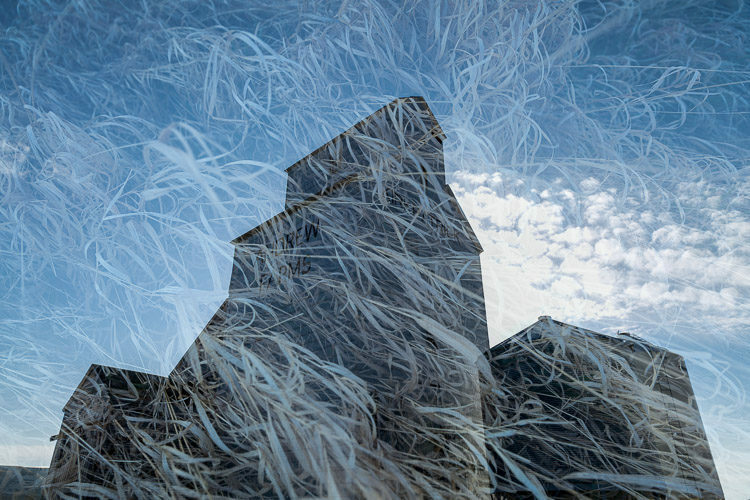 Each of the images in each of the series above was carefully arranged and consciously created. 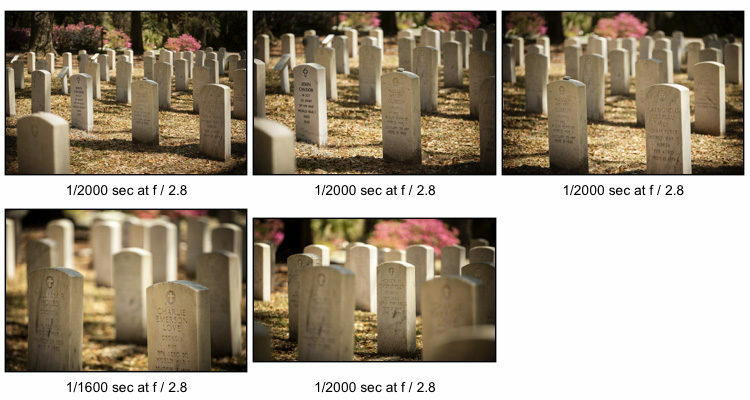 I wasn't shooting in burst mode at 8 frames per second hoping to get something. That is called “Spray and Pray” and it is not advisable as then you aren't creating you're just throwing stuff at the wall hoping it'll stick. 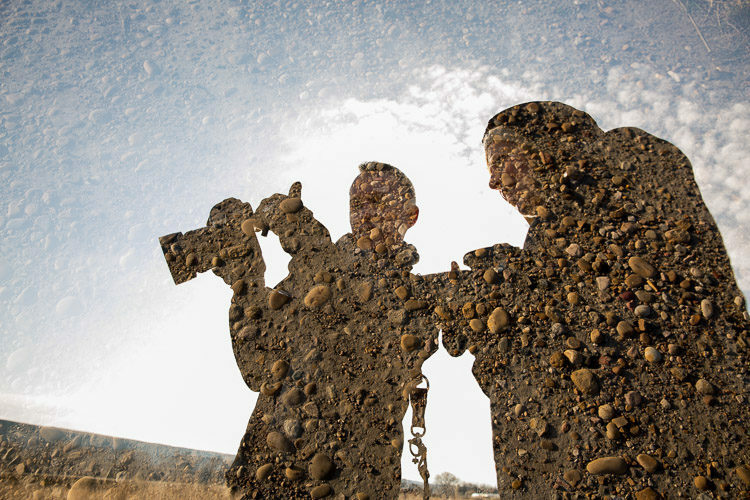 No – choose everything in your frame consciously. Pick the lens you'll use, and all the technical bits. Decide where to put your feet and how to stand. Only click the shutter button when everything looks good. 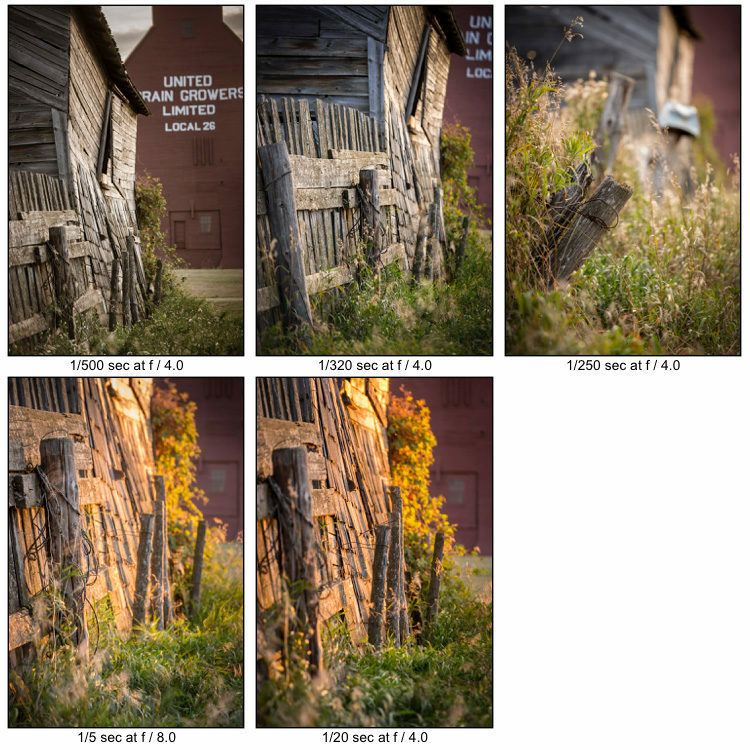 Then review what you've shot, make any tweaks necessary (move two inches to the left, adjust the exposure, etc.) and take another shot. Continue to shoot until you feel you've either gotten THE shot, or you've exhausted all the possibilities in that scene. Then move on to the next spot and repeat. Obviously, this method isn't applicable if you are shooting moving targets but the message is the same. 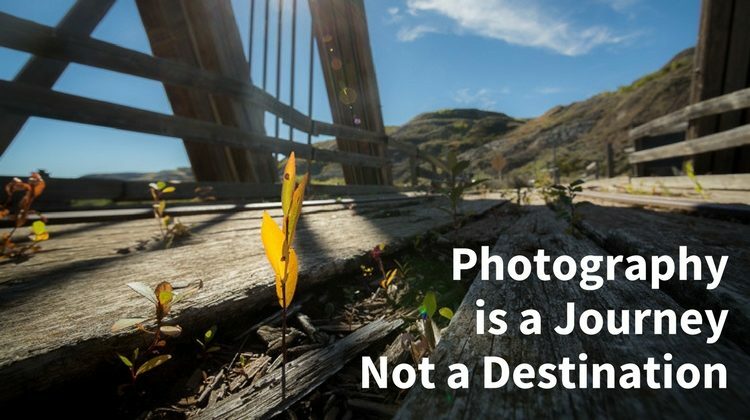 Photography is journey not a destination – keep your eyes opened and enjoy the trip!